Sightseeing -Eco Tour- Ko Lanta (Island)- Krabi - Thailand. 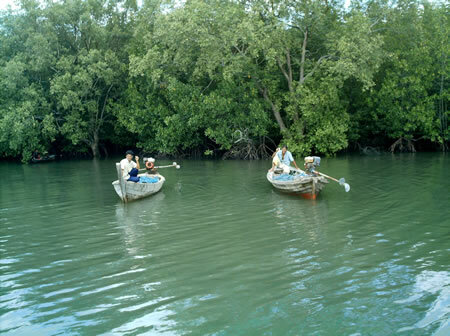 Eco-tourist-friendly, Tung Yee Peng is the best Mangrove forest located on the eastern coast of Ko Lanta . Tung Yee Peng is a project operated by UNDP (United Nations Development Program). Here you can learn about nature, how local people treat their natural resources, and the origin of marine life in the southern part of Andaman Sea . Tung Yee Peng will invite you into the world of the sea.